Apple and Indian regulator Trai has been trying since last October to develop an anti-spam “Do-Not-Disturb” app which would help people report and log spam calls on their Apple iPhone. However, the two entities have been going through a strife regarding the same. While both the parties want to stand for the security of public data, the stance which each of them has taken is on opposite ends. Apple in October agreed to aid the regulators in India to develop the app which would allow users to report unsolicited calls and messages. This development regarding the iOS feature happened in October last year, and since then, there hasn’t been any major news on the same. In India, Reuters caught over the issue and followed the email exchange between Apple and Regulators in India. Last time, Regulators in India said that they were waiting for “basic clarifications” from Apple regarding what they can offer in their iOS version of the app. Apple’s ongoing struggle with the regulators in India has somehow annoyed the Trai. RS Sharma, the head of the Trai has spoken in an official statement that they will take help of legal body in India to push Apple to hasten up the development of the application as demanded by the government. Sharma’s words clearly showed his disappointment with the US company as he went on to say “This is unjust, it shows the approach and attitude of this company.” Although, RS Sharma did not lay out the regulator’s plans regarding the same, but it is apparent that the government bodies are bullish regarding the development of the DND app on iOS platform. A reply from Apple was expected, however, Apple did not comment on Sharma’s statement but said that they shared the goal of protecting users from spam calls and texts. To the general public it is widely known that being the second largest telecom network in the world after China, the problem of spam, unsolicited calls and texts is a much prevalent issue in India. To counter this. 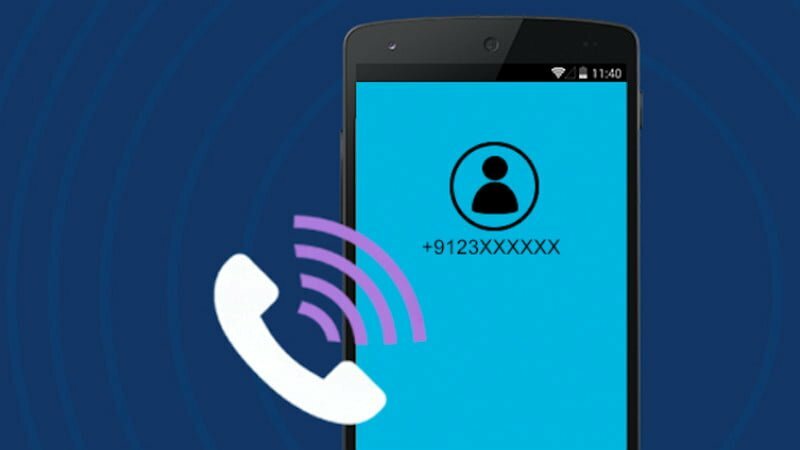 Trai issued a new Android app in 2016 which after accessing Contacts and call logs allowed the users to report spam numbers. The Trai’s “Do Not Disturb” application went online on the Android app Store smoothly without any hindrance because it complied with the Android’s policy which outlined “openness and in the ability of users to make purchasing and downloading choices without top-down enforcement or censorship”. Trai, as we mentioned above, was against this thought and the head of the body spoke: “Users should be in control of this data,”. Trai has been notoriously known to sabotage tech giant’s plans before. The body has previously been in a lot of push and pulls with Facebook in 2015 regarding their Free Basics program, while Facebook put a lot of pressure onto it, Trai went head-on against the issue and barred the service from coming to India. Although Apple says that they want to move things forward by having a talk with the government bodies, Trai is still waiting for more details from the company. This strife might seem to be a large blow to the US tech giant, as they had plans to open manufacturing units in India and considered India to be a heavy growth market for their products. Kunal Bajaj, a former Trai consultant, laid forth his thoughts saying “It’s likely to be more of a public relations battle against Apple rather than a legal one,”. Two lawyers who specialise in technology policy also said that a legal battle between Apple and Trai was far-fetched as Trai directly exercised its authority exclusively over telecom providers. However, people didn’t hold back on speculating that RS Sharma who has previously worked as the federal IT secretary, might invoke decades-old law which might allow government bodies to exercise control over handset makers also. TRAI is right. User should have the option whether he wants to allow the app to access phone logs and messages. User can always deny it if he is not willing. This is same as slowing down phones without user’s consent. Just moved from iphone to galaxy s9 and boy I cant tell what I was missing in ios. It feels like I am out of jail. You want iPhones to act the way Android phones do. And look where we are now – wrt security in Android, when user has the option to give permission or not. Most users are not that tech-savvy and privacy-savvy. So, the default privacy options have to be strong, like in iPhones. Enjoy the jail-free swamp! Apple is already giving options for allowing photos and all. They can easily add two more options to allow phone logs and sms. Apple is world renowned for not having any worthwhile security on its phones for over 2 years now. Idk why people are still fooled and say they are known for security. Apple is just a huge corporation doing whatever it wants. This won’t affect its manufacturing plant in Kolara since the two issues aren’t linked and apple does everything with huge profits in mind.